As marvel at the menu, we might recall that it was on this date in 1790 that Dr. Joseph-Ignace Guillotin demonstrated his invention, the guillotine, for the first time, in Paris. An opponent of capital punishment, Guillotin believed his device, at least, the most humane way to dispatch the punished. 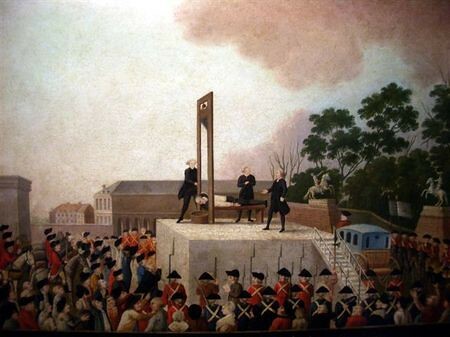 Exactly three years later, on this date in 1793, his device removed the head of King Louis the XVI.